Sed ac nunc a arcu volutpat convallis. Praesent turpis tortor, dignissim sit amet euismod sed, fringilla volutpat risus. Praesent pretium justo nec orci semper. 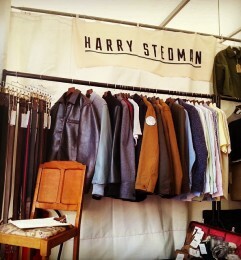 Harry Stedman is a young brand with an old soul. Founded in England in 2011, their collection is based on the life and travels of an old seaman.